Arugula, pea shoots and bull’s blood microgreens topped with sliced pear, honey ricotta and flash-fried spinach. Drizzled with a fragrant grapefruit lavender dressing. Combine ingredients and whisk together. 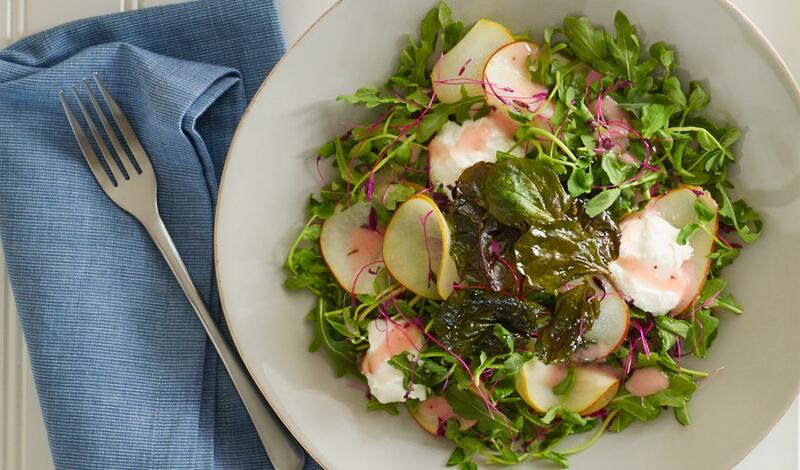 Gently toss together greens and top with pear, ricotta, and fried spinach. Drizzle with dressing.